The troubled singer apologised for cancelling her sets at the Kucuk Ciftlik Park festival in Istanbul, Turkey, and the Ejekt festival in Athens, Greece. Her spokesman said: "Despite feeling sure that she wanted to fulfil these commitments, she has agreed with management that she cannot perform to the best of her ability and will return home. "She would like to apologise to fans expecting to see her at the shows but feels that this is the right thing to do." The announcement came after she was reportedly booed and jeered at a concert in Serbia's capital that kicked off her European tour on Saturday night. The singer, 27, is also due to appear at Spain's BBK Live festival in Bilbao, Switzerland's Piazza Grande in Locarno, Italy's Lucca festival, Switzerland's Paleo Festival in Nyon, Nova Jazz and Blues Night in Wiesen, Austria and Poland's Bydgoszcz Artpop Festival in July. But her spokesman said these dates are now "under discussion". 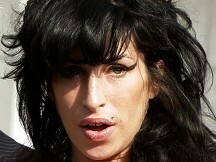 Serbian media described Winehouse's performance at Belgrade's Fortress before 20,000 fans as a "scandal" and a "disaster". Local media said the Grammy Award-winning chart star appeared an hour late, stumbled to the stage and mumbled through her songs. She occasionally disappeared, leaving her band playing instead, and sparked an angry response from the crowd.